The effect of combining two different words: eastern Europe and southern Asia. 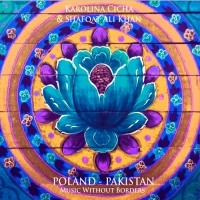 The album was created in Pakistan and mixed in Poland. The recording was made in Embassy of Poland in Islamabad ; sound engineer, miks & master: Andrzej Kijanowski; music production: Andrzej Kijanowski, Bart Pałyga, Karolina Cicha ; project production and coordination: Embasy of Poland in Islamabad; technical production: Zeejach Fazli – FACE Foundation.